The Rain or Shine Elasto Painters suffered their first loss in their last game. They got back on the winning track in a big way. The Elasto Painters took down the San Miguel Beermen, 108-98. Rain or Shine was able to offset the Beermen’s explosive offense with a balanced attack from their bench. James Yap came off the bench to lead the team with 21 points and three treys. Javee Mocon joined the list of rookies with breakout games over the Beermen. He had a big double-double of 18 points and 17 rebounds. Marcio Lassiter led the Beermen with 27 points while June Mar Fajardo had a 24-14 double-double. Lassiter was on fire in the first period. 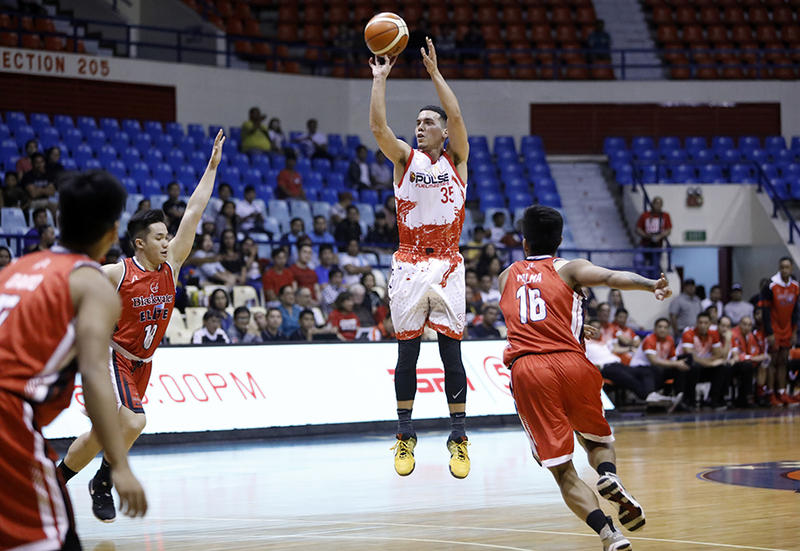 He started the game with back-to-back three-pointers and was backed up by a Fajardo score in the paint. The Beermen jumped out to an 8-0 lead. A few possessions later, Von Pessumal nailed a three-pointer and Kelly Nabong hit two freebies to increase the lead to 11. The Elasto Painters got back into the game late in the first period. 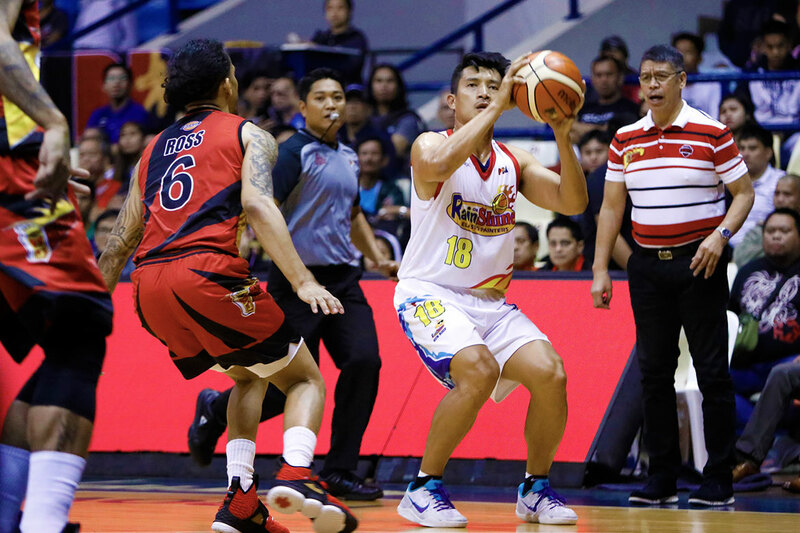 They leaned on the inside game of Jewel Ponferada, Norbert Torres and Mocon to cut the lead down to just four points heading into the final period. Rain or Shine took control of momentum in the second period. Yap and Beau Belga opened the second quarter with key baskets to pull Rain or Shine even with San Miguel. The Elasto Painters then went on their own run to take a double-digit lead. Yap sparked the run with a jumper and then Mocon scored on a layup inside. Yap then added a three-pointer, followed by another trey by Maverick Ahanmisi and a free throw from Mocon. The Elasto Painters took a 12-point lead heading into the half. Rain or Shine held on to the advantage for most of the second half. San Miguel was able to cut the lead down to three to open the final period. But Rain or Shine answered with key baskets to extend their lead to a more comfortable level. The Elasto Painters kept the Beermen at bay and held on to the win. In the first game, the Phoenix Fuel Masters continued their franchise-best start. They blew out the Blackwater Elite, 114-95 to get their fourth straight win. Matthew Wright put up all-around stats to lead the Fuel Masters. He scored 19 points, grabbed seven rebounds, dished out seven assists and had five steals. Calvin Abueva had 22 points and 14 rebounds off the bench. Abu Tratter led the Elite with 24 points. The Phoenix starters broke the game wide open in the first few minutes of the game. Jason Perkins scored back-to-back baskets and was followed by scores from Matthew Wright and JC Intal. The Fuel Masters took an early 12-point lead after Wright scored on a layup. The Phoenix bench came in and dropped a 16-2 bomb to increase their advantage to 24 points, before settling for a 19-point lead heading into the second period. The Fuel Masters remained in control of the game all the way to halftime. In the third period, Wright scored five straight points early in the third to increase the Phoenix lead up to 27. Jason Perkins joined in on the scoring barrage with seven straight points to push the lead to 34. RJ Jazul hit a triple midway through the third to extend the lead to 37, Phoenix’s biggest lead of the game. The Fuel Masters never let go of control until the final buzzer.